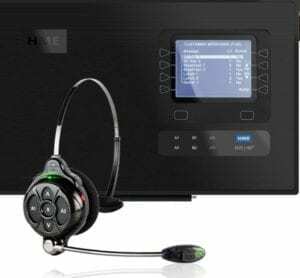 HME® is storming the QSR industry with the very first drive-thru headsets with HD Audio. 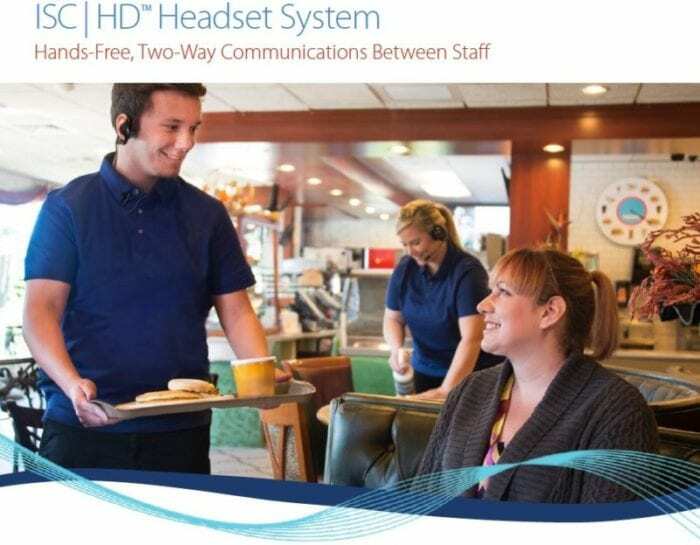 The all new EOS | HD® drive-thru headset system from HME delivers a clearer drive-thru conversation than ever before. A profitable drive-thru requires speed, accuracy, and the ability to adapt to ever-changing conditions. That’s why HME®, the world leader in drive-thru timer systems, created ZOOM. Unlike most drive-thru timers, the ZOOM drive-thru timer provides complete visibility into your entire operation. Its intuitive, multi-color dashboard, customizable reports and network accessibility to make managing your drive-thru easier than ever. The ZOOM drive-thru timer system provides a real-time picture of your whole drive-thru, so managers and crew can instantly identify bottlenecks and take immediate action. 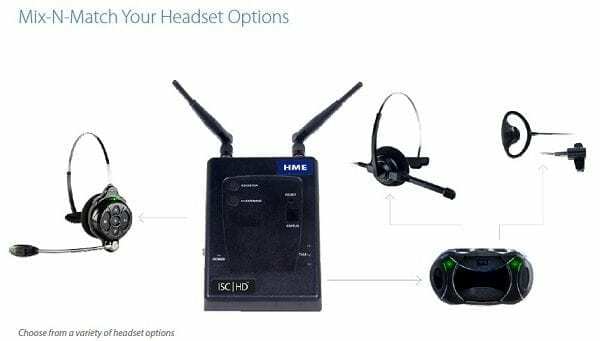 Hands-free capability of the ISC | HD headset system allows for open channel communications that helps staff to stay on task while speaking with their team. Crew members delivering orders, for example, can instantly relay any food or service needs without stopping what they’re doing, improving employee productivity. Drive-Thru Audio Systems, Drive-Thru Timer Systems, Order Confirmation Displays, Drive-Thru Speaker and Microphone Bollards, Pre-Fabricated and Saw Cut Vehicle Detection Loops. We also provide warranty and out of warranty repairs for all HME equipment using genuine factory parts. PAR’s expertise in the restaurant and retail businesses from over 35 years of experience in the industry, allow us to understand your business, and provide you with the help you need to keep your Drive-Thru system running smoothly. PAR’s direct Field Service team is strategically placed throughout the country to create relationships, guarantee availability, and take ownership of issues for customers when they arise. PAR’s Installation team is committed to providing customers with an experience that is unparalleled in the industry. Our Deployment Services include a highly trained group of professionals who provide hardware and software installation services to new and existing PAR customers. At PAR, we understand the impact to your business if your Drive-Thru system isn’t running perfectly, at all times. 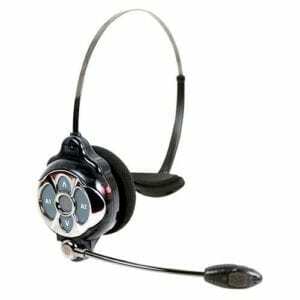 Our economical Return to Base Headset Repair option is fast and efficient. EOS | HD is the industry’s only HD Audio drive-thru headset system with wideband technology. EOS | HD filters the human voice from background noise by combining wideband technology with cutting-edge noise reduction to deliver true voice clarity. Customer and order takers can both hear the whole drive-thru conversation—like they were talking face-to-face—for improved order accuracy and faster speed of service. >Watch how we help you communicate with your customers ! The greatest advancement in sound since digital, HD Audio is the drive-thru like you’ve never heard it before. HD Audio combines industry-changing wideband technology with groundbreaking new noise reduction and echo cancellation to deliver unparalleled clarity and intelligibility to your store. > Listen for yourself ! requests, tasks, and reminders between crew members. up to four crew members to speak at the same time. are located, to quickly address a customer’s request. *Results may vary depending on the environment. industry. All new EOS | HD with HD Audio brings with it a dramatic improvement in sound clarity like you’ve never heard before. With HD Audio, the whole drive-thru conversation is dramatically improved. The unmatched clarity and noise reduction from EOS | HD delivers a whole new drive-thru experience for you and your customers. the restaurant, and fewer distractions for crew members. The result — improved order accuracy, increased profitability, and a better customer experience. All-New Headset. Same Great Price. Backward Compatible with previous Systems. Running a profitable drive-thru takes speed, accuracy and the ability to adapt to ever-changing conditions. That’s why HME, the world leader in drive-thru timing, created the ZOOM Drive-Thru Timer System.ZOOM’s advanced design provides complete visibility into your entire drive-thru operation. 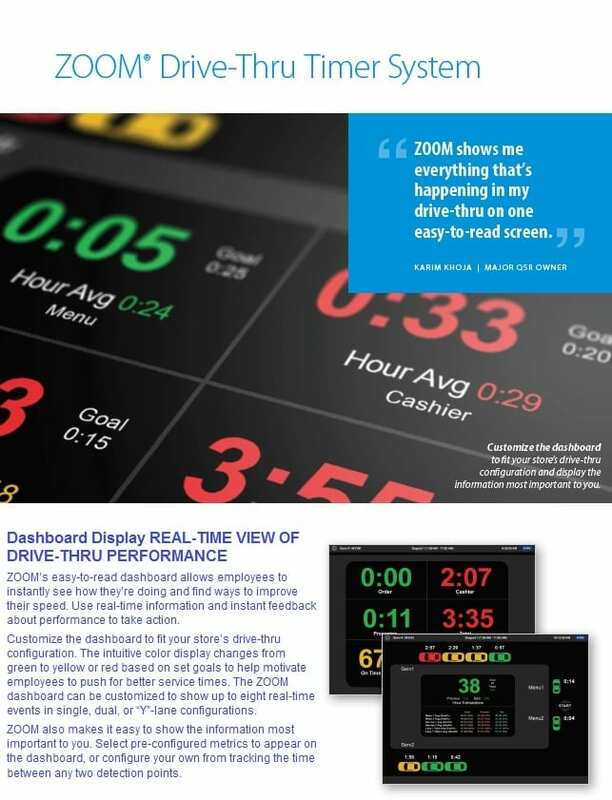 Its intuitive, multi-color dashboard provides a clear picture of what is happening in the drive-thru in real-time. This allows managers and crew to instantly identify bottlenecks and take immediate action to speed things up. >See how we increase your Drive-Thru speed ! Unlike most drive-thru timers, the ZOOM drive-thru timer provides complete visibility into your entire operation. Its intuitive, multi-color dashboard, customizable reports and network accessibility make managing your drive-thru easier than ever.The ZOOM drive-thru timer system provides a real-time picture of your whole drive-thru, so managers and crew can instantly identify bottlenecks and take immediate action.